This is a deep X-ray Chandra image of the Lockman Hole, a patch of sky that avoids most of the X-ray absorbing gas of the Milky Way. 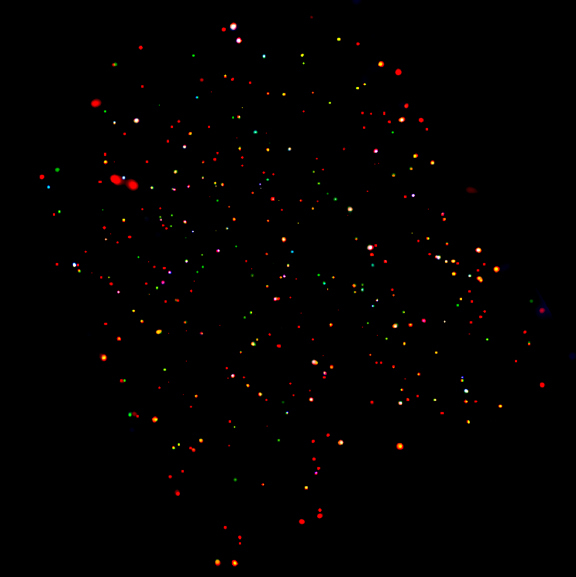 By combining this image with the Chandra Deep Fields, astronomers have been able to construct the most complete black hole census to date of the Universe. 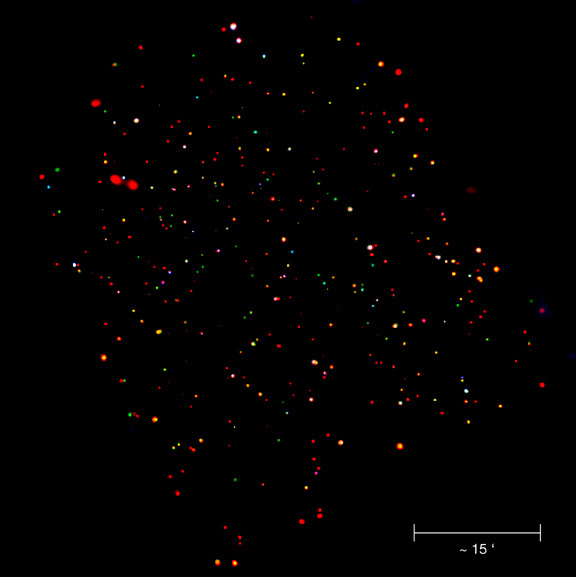 Virtually each of these dots - with the red objects usually cooler than the blue objects - represents a supermassive black hole. These two illustrations show the difference between the very biggest supermassive black holes in the Universe and relatively smaller ones. 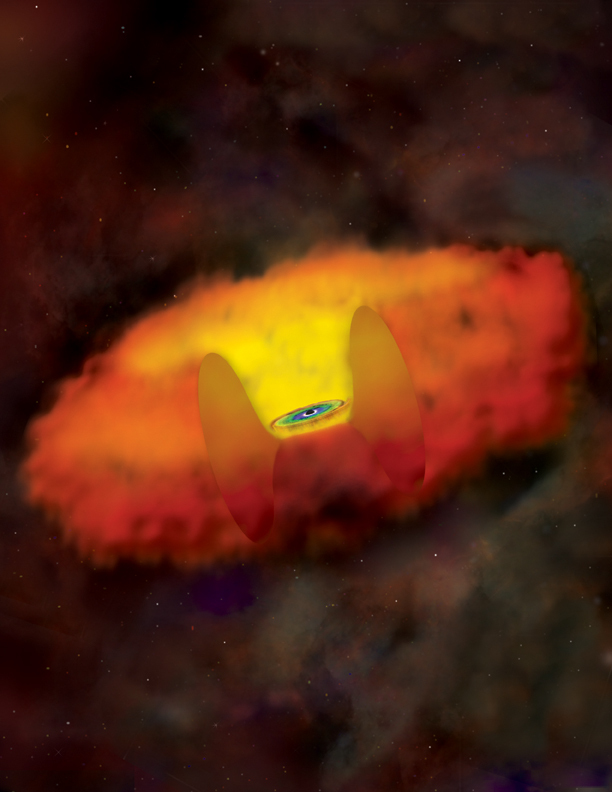 In each case, the black hole is swallowing large amounts of gas from a surrounding disk. 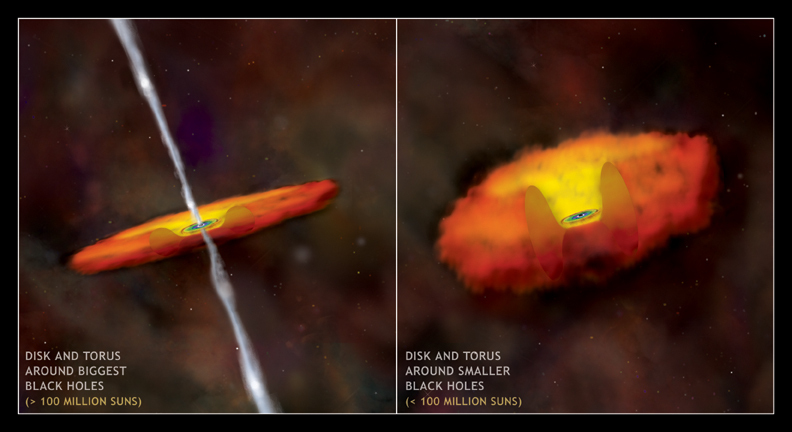 The first illustration is of a black hole with a mass between about 10 million and 100 million Suns. Here, the central black hole is obscured by a thick donut-shaped cloud of dust and gas. The second shows the growth of a larger black hole, with a mass greater than 100 million Suns. This black hole is surrounded by much a thinner torus of dust and gas. 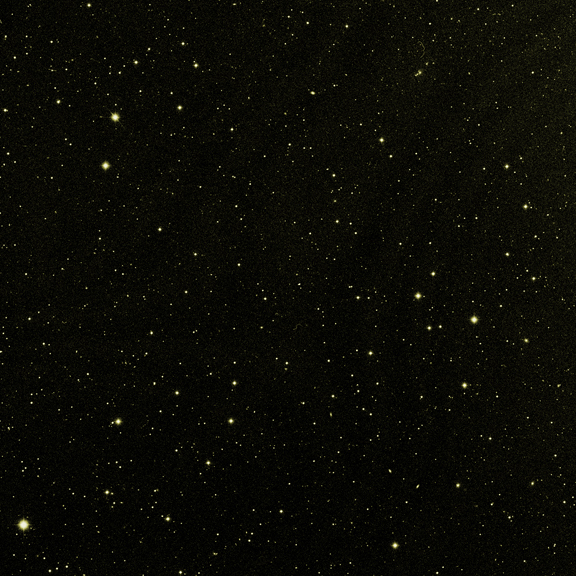 This image from the Digitized Sky Survey (DSS) shows the Lockman Hole in visible light. 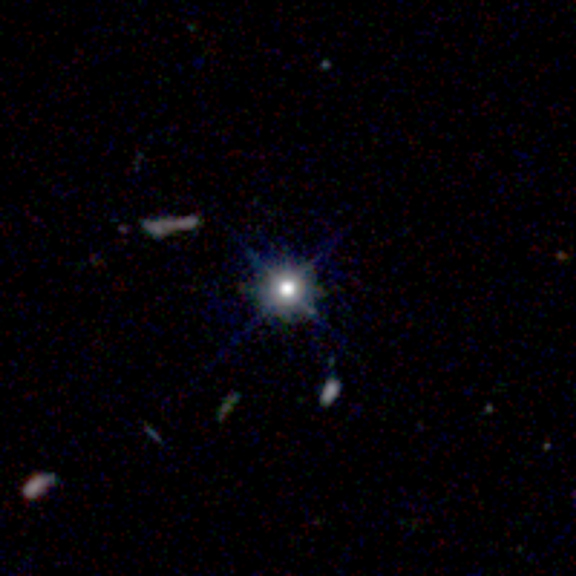 The field of view is slightly larger than the Chandra image. The large image shows the Chandra Deep Field North, the deepest X-ray image ever obtained of the sky. 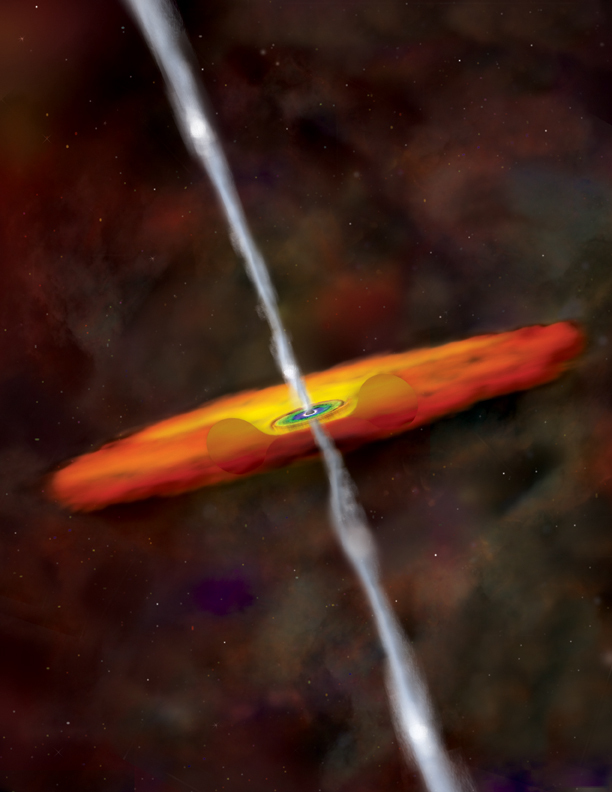 Most of the X-ray sources are growing supermassive black holes. The smaller frames at the bottom show Hubble Space Telescope images of the galaxies containing two of these supermassive black holes. 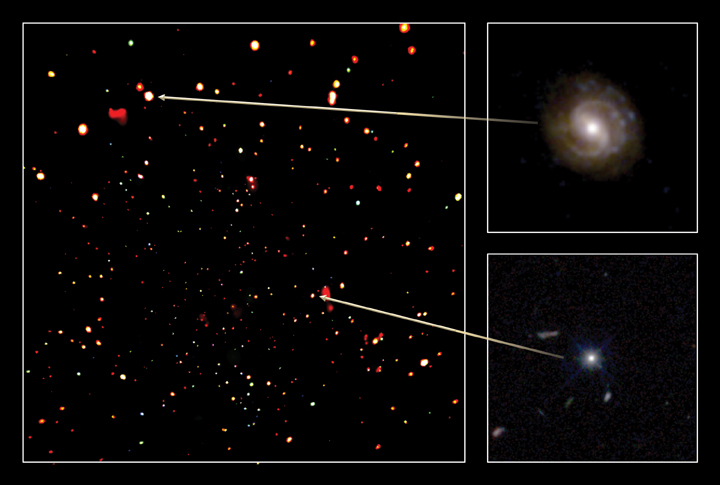 The image at left shows a galaxy at a distance of 3.7 billion light years, a relatively nearby object. 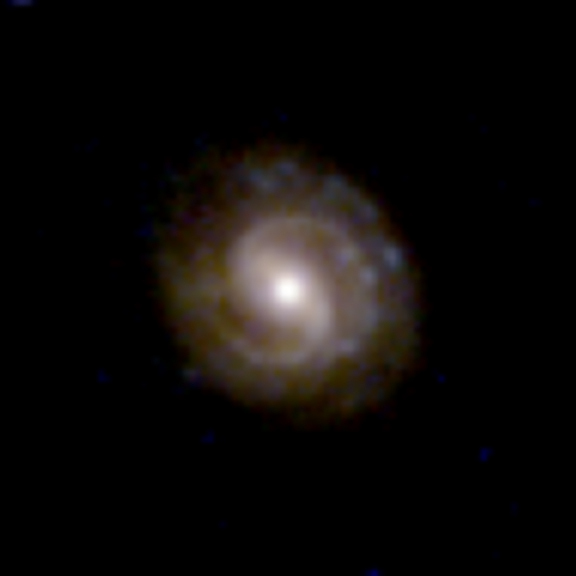 Although this galaxy contains a growing black hole, it looks like a normal spiral galaxy in the optical image because radiation from the feeding black holes has been absorbed by dust and gas. The object at right is almost 12 billion light years away and shows bright central radiation from the growing black hole in the optical image. In this example there is not much absorption of radiation by dust and gas. (Credit: X-ray: NASA/CXC/PSU/D.M.Alexander, F.E.Bauer, W.N.Brandt et al. 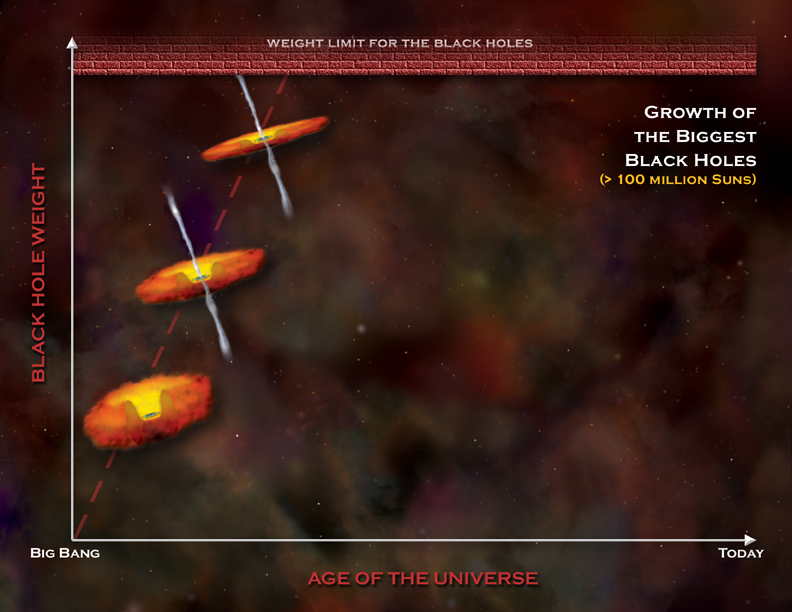 This figure shows the typical growth, over cosmic time, of supermassive black holes with masses greater than 100 million Suns (these objects include the largest black holes in the Universe). These large black holes grow quickly in the early Universe but their growth then stops ("hits the wall"), perhaps because powerful winds or jets generated by the feeding frenzy of the black holes clears out any remaining fuel. The rapid, early growth of these large black holes, as observed with Chandra, is similar to the growth of their large host galaxies, as observed with optical telescopes. 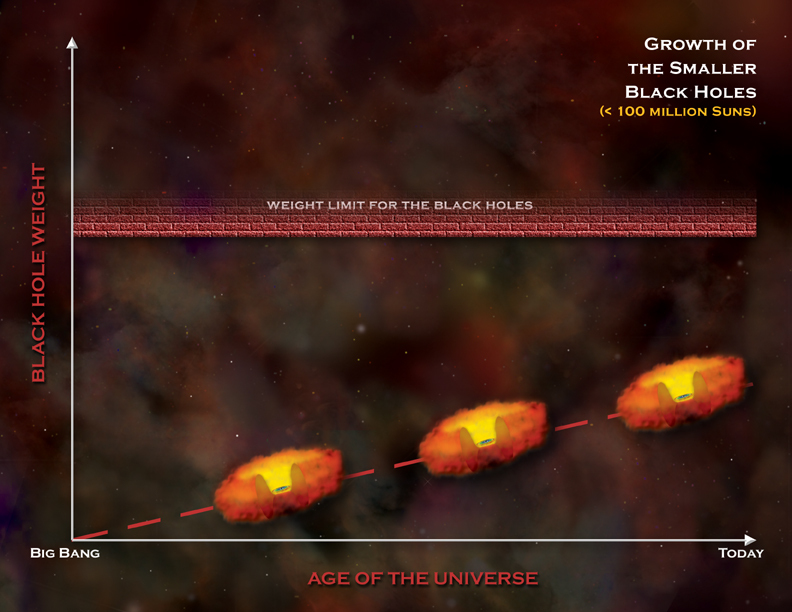 This figure shows the typical growth of supermassive black holes with masses less than about 100 million Suns. These black holes grow much more slowly than the biggest black holes. Typically they will not reach their weight limit for another several billion years. This slow growth is similar to the growth of the black holes' host galaxies.